The winters in Montreal are long and cold, so when the summer finally arrives in full force, we must make an effort to enjoy every moment of it. There are many great spots in Montreal that will make you feel like you’re on vacation. 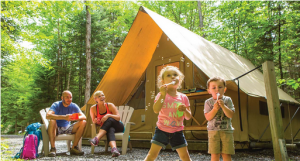 Weekend mini-getaways and weekday summer nights spent doing fun things will help you recharge your batteries and enjoy this beautiful warm season to the fullest. Oka National Park is a great place to go for a day trip or a weekend camping trip. There’s a huge beach with canoe, kayak, and paddle board rentals. Another feature areawesometrails with varying distances from 1.5 to 11km for a leisurely walk or a more vigorous trail run. Oka is located only 1 hour drive away from the city. There are washrooms, showers, and drinkable water in case you’d like to camp overnight. Give it a try! Head to Sepaq Oka website and reserve your spot for the next weekend to enjoy a little break from the city and wake up to the sound of singing birds! How long has it been since you went kayaking? Kayaking is an amazing activity and Iles-de-Boucherville is an awesome spot to do it. We suggest you opt for an 8km loop around little canals and a couple of islands. The views on the way are amazing and we’re confident you are going to have a great time! Have you heard of AML cruises? They depart from the Old Port everyday at 6 and 6:30pm.The average duration of the cruise is 4 hours. Your ticket includes a 3 course meal, a couple of drinks, and live entertainment on the terraces. Check out the schedule and book your table d’hôte tickets here. Jean Drapeau Olympic size pool is finally open after being closed for almost a year due to construction. It’s open everyday from 10am to 8pm and because it’s right by the Jean Drapeau metro it’s very convenient to get there. It’s a perfect spot to tan or swim laps and it will only cost you $7.50. There’s no better way to relax and unwind after work on a nice summer evening than going jet skiing. “Location Motomarine” in Chambly is open 7 days a week from 7AM to 8PM. 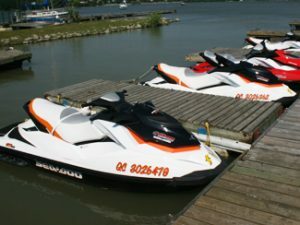 It’s only a 35min drive from downtown Montreal and all you need to be able to rent a jet ski is a valid driver’s licence. We suggest you give these guys a try! Nacarat is an absolutely stunning bar at Fairmont Le Reine Elizabeth. They are well known for their amazing cocktails and chic ambiance. 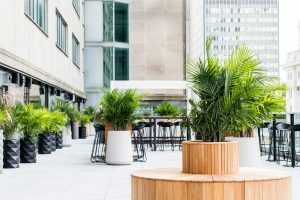 Last month they opened a brand new terrace on the third floor facing Boulevard René-Lévesque. It’s perfect for your next Thursday 5@7! 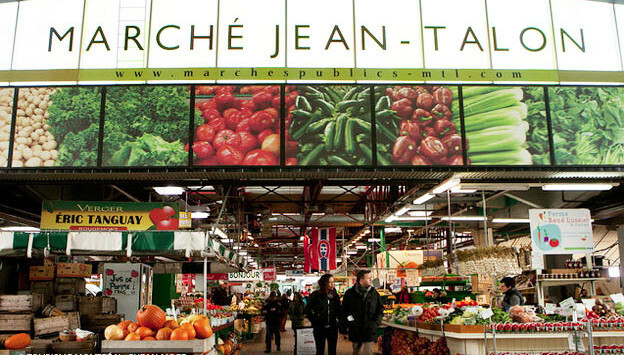 Marche Jean-Talon is a true gourmet experience! Take a stroll around the market to discover your favourite spots. Don’t rush and take your time to soak in their amazing vibe, the smell of freshly baked bagels, seasonal veggies and fruits. Make sure to try Natas – traditional Portuguese custard tarts. Stope by Les Délices de la Mer, fish, seafood and lobster spot from Gaspesie. Go for oysters at La Boîte aux Huîtres and try one of many Quebec cheeses at Fromagerie Hamel. About the author: Helen Baginsky from MTL Ideas is in love with Montreal. Having travelled a lot, Helen is convinced that Montrealers are very lucky to live in such a beautiful and vibrant city. In her spare time Helen organizes events, meetups and various activities in and around Montreal. She is active in the community and has sampled much of what our beautiful city has to offer. 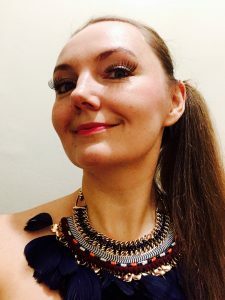 Helen runs a blog to share her experiences with other Montrealers like herself and she is excited to be a regular contributor to the Montreal Therapy Centre blog team.